Modernize your productivity and business with Office 365. Do more by connecting the right people, ideas and information in your business anytime, anywhere. Transform the way you work because Office 365 is here. 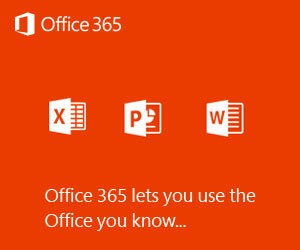 Microsoft Office 365 is secure anywhere access to professional email, shared calendars, IM, online conferencing, and collaboration on documents. Includes full Office desktop, plus email! Office 365 offers 25 GB storage for each user so you can hold on to your popular emails for years. You can retrieve your contacts from anywhere while have the option to customize the email inbox with your specific rules and notifications. Amazing features with Calendars lets you share and personalize your calendars. Now access your emails and Calendars from anywhere including your workstation, Mac, Android, Blackberry, iPhone and Tablets. It is highly secure as Microsoft blocks spam. You can even block external emails in internal company group. Absolutely no email advertisement. 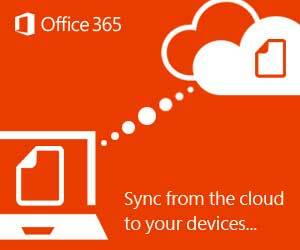 Lost your phone, with Office 365 security feature, you can wipe off all your data remotely. Syn your emails, Calenders, Contacts and access your documents in Sharepoint via Phone. Another excellent feature is Active Directory synchronization, although this feature is included in Enterprise plan. With AD synchronization, businesses can manage user identities across different in-house and online installations of Exchange, Lync, SharePoint and other Microsoft products.